Pictured: The 2016 Young Artist Award Winners. 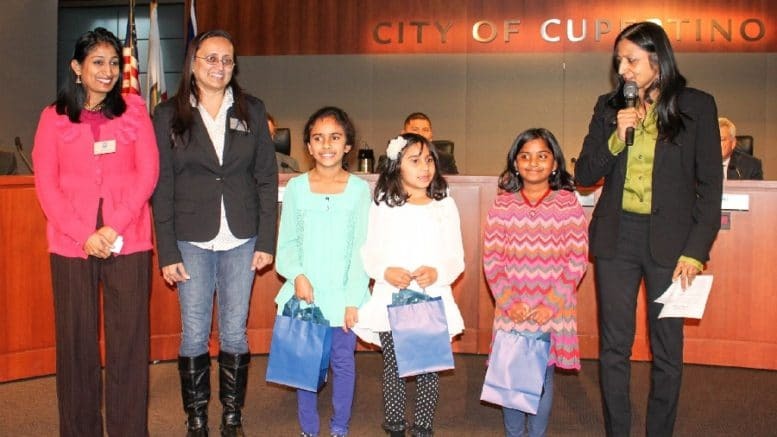 Courtesy of City of Cupertino Facebook page. If you are a young artist living or going to school in Cupertino, you are encouraged to submit your art and be considered for the 2019 Young Artist Award. The purpose of this award is to encourage and recognize young talent in the community. Participants have the chance to win a cash prize of $100, a trophy and a have their work displayed on the Cupertino Library’s art wall. The judging criteria will be based on the following: effective and creative communication of the contest theme; evidence of imagination and individuality; effective use of media and tools; and work completed by the young artist only. Parents and teachers should not assist or participate in the production of the art. The deadline to enter is Nov. 17 at 4:30 p.m.
Be the first to comment on "Young Artist Award is now taking submissions"